If you decide to refinance or purchase a home with a mortgage, you will be required to fill out a loan application form and sign a set of disclosures in order to initiate the mortgage process. This bundle of documents includes things like the Truth in Lending disclosure, the Good Faith Estimate, the HUD-1, Credit Report disclosure, a Social Security release form, and many more. These disclosures provide important details about your loan and allow the bank or mortgage broker to gather sensitive information about you such as employment and credit history, bank statements, income documents, and so forth. When all the disclosures are signed, the loan process can begin. At that time, the loan officer or mortgage broker will collect important documents from you and submit your loan application to the underwriter. If your mortgage application is approved, you will receive a conditional approval from the mortgage underwriter with a set of conditions that need to be met in order to receive loan documents. These are called “prior to document” conditions, or PTDs, because they must be satisfied before loan documents can be drafted and sent out. Once loan documents are signed, “prior to funding” conditions will need to be met to ensure the loan actually funds and records. These are usually sent back along with the loan documents from title/escrow. *CPA letter and/or business license if self-employed stating 2+ years employment in same job or field. The bank or lender will call your employer if you are W-2 and do a verification of employment. Income, assets, and employment are not revealed to the bank or lender. A CPA or business license is not necessary. Are there mortgage lenders that use your bank statements for income verification instead of tax returns? Yes, it’s called asset depletion. Hi, I need some understanding in getting a mortgage, my wife and I,both have FICO score in the 800+ range, we have land that we bought, the price of the land went way down, The Deltona corporation where we bought the land, told us we can use the equity from the land to purchase one of there new home. What is best way to approach shopping around for a mortgage, and how much it will affect our FICO score.Thanks. There are numerous ways to shop for a mortgage, including local banks, credit unions, mortgage brokers, online lenders, and so on. For purchases, borrowers typically like a face to face interaction, but it’s your call. As far as credit score, FICO considers multiple inquiries during a shopping period as one inquiry if made in a typical shopping period and also ignores recent inquiries. Either way, a 800 score shouldn’t be affected much by some mortgage inquiries. Is it normal for a Bank to release closing docs at 7 pm on a Friday to be signed at 8:00 pm the same evening? Things are rarely normal in the mortgage industry, so it is possible for a very late signing. I’m currently in the process of applying for a jumbo loan, and my lender is making me jump through a lot of hoops. My liquid assets are over double what is needed for closing, but the lender wants me to document where every penny came from going back over the last 6 years even though it has just been sitting in the account for a long time. It all came from normal income and stock that is already documented in my tax returns, but now I have to go through and get transaction documents for every single part of income, which means making requests for around 10 different transaction documents a month for the past 6 years, which seems excessive. Is this normal, or should I switch lenders before it is too late? I have already provided several hundred pages showing my income and assets – going through and finding a couple thousand more to document each deposit (which again, is already covered with normal tax documents) is a lot of manual work. I’m assuming there’s a reason they’re asking for all that documentation. Are you self-employed, run your own business? If so, things are often a lot more paperwork intensive. A jumbo lender may also have their own unique rules and underwriting standards, so another lender could potentially require less documentation, though there’s no guarantee you won’t deal with the same thing elsewhere. My question is. If I have provided all the documents requested for the underwriter will they contact my credit union to verify my account balance? My loan application is supposed to come back from underwriter today so that I can get my closing date (which is scheduled for this coming Friday or Monday the latest *god willing*) They wanted to see so much money in my account which was over $2,000.00 more than I need for closing. Well last night I thought I broke my foot so I went to urgent care but they would not see me without paying my $100 deductible and a $20 copay then $20.00 for prescriptions. The only debit card I had on me was for the bank in which my mortgage company is going off of. I am going to transfer the funds back to the account this afternoon unless I have an approval or another request prior to that. I’m just nervous the documents I sent them Monday were up to date but then I did the withdrawal last night! Some please help!! Not sure they will need to contact your bank if you sent in asset documentation already, but if they do and have a problem with $140 missing, you’ve got an explanation and a plan to replenish the account. I just want to tell you your information is great. I also read your answers to people that is so helpful. When I get ready to buy my home in the near future, you are the place I’m coming, because you helped people. Thanks for the kind words Kelita! People like you keep me going! I’m in the “hurry up and wait” phase of the mortgage process and I’m set to close on 6/1. Last month, when I originally got “pre-approved’ for the loan, I provided a ton of documentation. Documentation provided: 2 months of bank statements, 2 months of pay stubs, 2 years of taxes, Drivers license and my social security card. Since then, I have signed a ton of documents already inclusive of title docs, insurance and other disclosures. I’m told that 99% of the time, there is additional documentation requested. What typically is that “additional documentation”? I hope you can help, I only have 11 days until closing and I’m nervous that if they don’t tell me what additional documentation is required until next week that I might not have time to gather it. Additional documentation could include a letter of explanation for anything they want more information on (shouldn’t take longer than typing it up), sometimes missing pages from said documents you already sent in, or more current documents, re-disclosed GFE, etc. Don’t stress, just comply and get the documents back in a timely fashion when asked. My daughter just graduated from college last year. She is a teacher and has taught for 1 year…so she does not have 2 years of W-2 forms. What is the best way for her to qualify for lets say a $180,000 loan? I am in the process of finalizing a loan for a mortgage. Me & my husband are separated and he is not going to be listed on anything as this is just in my name only. Why would the mortgage lender need a copy of his id? Just curious. Not sure…best to ask your lender directly instead of speculating. My income is $71,000, my husband’s is 53,300. My credit is 640 due to late payments on my single girl mortgage about 5 years ago. His credit is over 710, and has $356 car payment. The house we live in now is in my name, but we can’t sell unless we take a huge loss, so we want to rent for the cost of the mortgage payment (1244/mo). How much do you think we could be approved for? Only way to know for sure is to get a pre-approval at a bank or with a broker that reviews all your income, assets, liabilities, etc. Going through the refinance process with my lender. I am self-employed and work full time for a consulting group. I have submitted everything from pay stubs, tax returns, P&L, Balance Sheet, employment verification signed by the managing partner here at work and now have been asked to submit a Written Verification of Employment. Isn’t that the same thing as the Employment Verification? Honestly, I am exasperated beyond words! The fact that you’re self-employed but work full time for a company might be confusing the underwriter, or at least calling for all bases to be covered. I know it’s frustrating but if you can get the paperwork it’s best to just comply and move forward. Question about the bank statements and VOD. Do lenders actually request a VOD from my bank even if I give them the statements? Is a VOD only done if no statements are available? I am wary about anyone going into my bank accounts. If they have the statements from my bank, is there still a need for them to do a VOD as well? Or should they not bother with that? Are statements good enough? I am self employed, so no paystubs or W2s. They have my taxes from the last 2 years and I will be giving them a profit and loss YTD as well. We are waiting for our other house to close before the funds for the new house and reserves will be in the bank account, which will happen in 2 weeks. The statements show my deposits from self employment. Is that all they would be looking at? Other then the balance? Or will a VOD still be necessary? Do underwriters pull a tax transcript or a tax account transcript? The reason I ask is we were just approved for a loan and have a state tax bill that we’re paying in full in the next week around $1k and have a federal tax bill a little over $2 that we just found out about last month and are currently trying to resolve. We feel the calculation the IRS sent us is way off and are sending in documentation to correct. Our closing date is in 45 days and we don’t want either of these to cause us to be declined. There are no tax liens because both have yet to be considered delinquent. 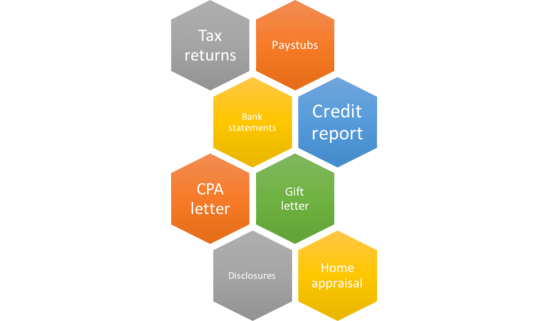 You probably signed a Form 4506, which is a request for a copy of your tax returns…not sure if a pending tax payment is an issue, just also be aware that the payment will reduce your available assets if you don’t have many. Here is small history, I have more than 10 years employment is US. FICO score is 790. I have last year W2 with current employer and previous W2 is without income since I took break previous 4 years. Shall I continue purchasing the home process or should I wait for one more year? Will lender check and talk about previous emplyment with current employer? any idea sir? Lenders generally look at the past two years tax returns and latest pay stubs so they’ll probably notice gaps in employment. But if you can explain the gap and show steady income/employment you may be able to get around it. We are in the process of a refinancing our primary residence. The lender has sent me the form “Notice of Special Flood Hazards and Availability of Federal Disaster Relief Assistance” which they insist must be signed. I assume you know what the document states. The way it is worded indicates we will be part of a flood zone. Where we live that is impossible. Is it a required document for a refi? I am afraid that it will be used to force us to pay flood insurance if we sign it. I don’t remember ever signing that form in the past. Are W2s always needed for the lender??? Generally yes unless it’s a stated income loan or asset depletion loan. I was just informed by bank that they need to do a update disclosures for my first time mortgage loan what does this actually mean my app already has went through the underwriter so I’m not really understanding the process. Ask why updated disclosures are needed. What changed on the forms? Loan terms? Rate? Costs? Is it normal for a loan company to ask again and again for bank statements? And for them to take weeks before asking for more paperwork (i.e., documents needed for final approval and contract obligations)? We’re going through a company that is not well known (at least according to Google) and I don’t want to fall into a trap. Our loan is for 50,000, so it’s not an expensive home. Sadly, yes, it can be very normal. 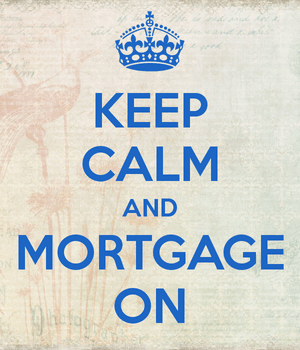 Getting a mortgage can be a very frustrating and lengthy process. If you’re truly worried you can reach out to other lenders for quotes so you have at least have potential backup options. Kind of complicated loan, I own the house my partner & I have lived in for 28 years. I went bankrupt 3 years ago & kept my home under the HOMESTEAD EX; law, for some reason it went into a recovery account & they have agreed to take $20k on a $70K balance. My s/o is a Vet & is pre-approved for $125K to buy my house, we have jumped thru all the hoops & are waiting for the CTC. They say it seems like a “bailout” &it is back in Underwriting for final approval. I don’t understand why it might me declined just because of that word, house appraised at $270K. Non-arms length transactions tend to be heavily scrutinized…probably even more so if you received a payoff less than mortgage amount. It might make sense to get a bank account so you can show verified assets. And see if you can raise your credit scores while you’re at it. There might be some options if the property cash flows but you’ll have to do some digging around. Maybe look into non-qm loan options or a pure rental income loan program. Colin I am in underwriting right now…waiting to hear back…but my loan processor has asked me for additional documents that she thinks are missing from my 2014 tax returns. I received copy of my 2014 tax returns from the preparer and the specific form that is in question is the schedule A reimbursement section. The amount there does not equal the amount from my 2106 form. I called my tax preparer and she stated that she used an electronic system and the system made the calculations and that is what was reported to the IRS….is this really a big deal or will underwriting give me issues with this. the amount of unreimbursed expenses was 30,000.00 the amount the 2106 form has is 25,000.00…im not sure where the other 5,000.00 went. These calculations are from my husbands expenses and he is no longer employed with the company he left back in 2014 and has been a teacher since then. Not sure to be honest…might depend on how close you are DTI-wise to getting approved and if the different is material to the situation. AccountChek is a product from a reputable company called FormFree. I believe the loan officer creates a secure link (they send you an e-mail) for you to verify the bank account(s) using your credentials. Once you receive the e-mail and verify the details it allows the loan officer to generate VOAs. So you shouldn’t have to share your login info with anyone, but rather verify it remotely on your own. After giving all DOCS for the home loan…can I be denied for the loan after coming this far? It’s possible because documents are gathered and submitted for the purpose of loan approval, and until all documents are in, reviewed, and all conditions are signed off, that approval is conditional. Meaning if things come to light it could affect that approval. We are about to go through the process of applying for a VA loan. We have talked to a couple of loan officers that do not seem very informed about the process of applying for a VA loan. Which would be better, a bank or lender? We are also in the process of getting married. Is it possible to start the application before marriage as long as we are married before we get final approval? My fiancee’ of 21 years and I co-own a home in Redondo Beach outright. The home is currently valued at $720,000. We are looking to take out a $100,000 loan on the property. We are 99% finished with the loan paperwork, and we are looking for someone to assist with finishing it up, making sure nothing is omitted, and basically dotting all the “I’s” and crossing all the “T’s” before we start submitting our paperwork to various lenders. Please email me to let me know if you available for this kind of service and an estimate of your fee; or, in the alternative, if you know of any services in the Greater Los Angeles area who might be able to help, especially any in the South Bay/Beach Cities area. Please include your business telephone number in your reply. That’s not something I do, but I faintly remember a company that specialized in the exact thing you’re talking about. I tried to look them up, but couldn’t find anything unfortunately. Technically, loan officers and/or brokers are supposed to help with these types of things too before submitting the file to underwriting. In VA, what is the law regarding electronic signatures/documents when you are married? Does the lender need my husbands SS# even though his name is not going on the refi for my house I bought before I met him? Why would a voe be needed if you have 2 years of w2s with the same employer especially if the income matches. Lenders will order VOEs to ensure borrowers still work where they say they work and are in good standing. It’s not out of the realm of possibilities for someone to be laid off or fired right before applying for a mortgage. And just to verify everything from the loan application matches up.